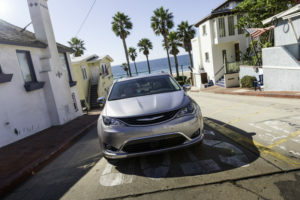 Inspired by community threads from Pacificaforums.com, the You Asked, We Answered video series from the Chrysler Brand provides straightforward answers to questions often asked about the Chrysler Pacifica Hybrid. If you researched or even test drove a Chrysler Pacifica Hybrid in 2017 but, for whatever reason, weren’t quite ready to buy, then today’s video is for you. 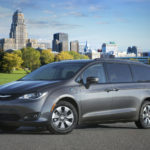 What seems at first like a greatest hits of standard and available features is actually a rundown of how the Chrysler Pacifica Hybrid has been updated for the 2018 model year. 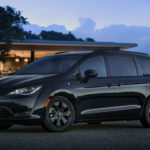 For example, and as reported in the video below, the 2018 Chrysler Pacifica Hybrid is “upping the ante by offering 4G LTE Wi-Fi hotspot with unlimited data* … providing reliable in-vehicle wireless Internet connectivity for up to eight devices such as your laptop, tablet or smartphone.” If this is what “upping the ante” looks like, then we’re all in. Give the video a watch and, if you like what see here (we think you will), visit a BusinessLink dealership near you to test drive and get an in-person look at the 2018 Chrysler Pacifica Hybrid. *Wi-Fi subscription required. Vehicle must be registered with Uconnect® Access. Vehicle must be properly equipped and in active and usable cellular range for Wi-Fi usage. Factors affecting the performance of Wi-Fi Hotspot 4G include: 4G cellular network, signal strength and quality, time of day, number of channels used by the service provider, type of connection, number of clients using Wi-Fi Hotspot and client device. This feature is not intended for use by the driver while the vehicle is in motion. Always drive safely. 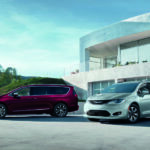 Chrysler Pacifica | Which Model Is Right for You? 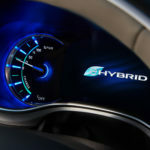 Chrysler Pacifica Hybrid | Why Buy This Vehicle?